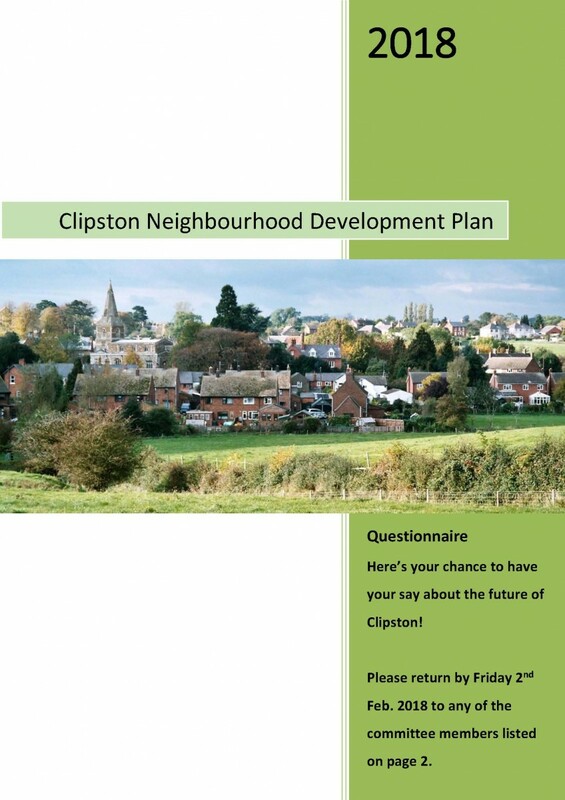 Here’s your chance to have your say about the future of Clipston! The Localism Act of 2011 gave local residents power to shape the future of their communities by putting local plans at the heart of a new and simplified planning system. Under the Act, councils and local people can contribute to the decision making process where any future housing, its design and location are concerned. And the Act is about much more than housing. It can include policies governing the future of green spaces, heritage assets, the environment, community facilities, economic activity, and transport and roads - all things that will impact the community in the coming years. Once a Neighbourhood Development Plan (‘the Plan’) is approved it becomes a legally binding document, used by Daventry District Council in helping to determine any planning applications that might come forward in the Parish. It is therefore very important that everyone contributes their views so that the Plan truly reflects the collective view of the community. We have the chance to help shape decisions about the future of our Parish, rather than leaving it to others. We should make sure we make the most of the opportunity. This Clipston Neighbourhood Development Plan questionnaire is an important part of the consultation process. It is a major way for the Clipston Neighbourhood Plan Advisory Committee to take account of your thoughts about the ways in which Clipston should, and should not, be developed, and what should be conserved, until the end of the Plan in 2029. The survey will help us to understand the views of the community as a whole. The opinions, comments and ideas gathered will be used solely for the development of the draft Plan, which will eventually be produced as a reflection of the consensus view of Clipston Parish residents. Every member of your household can complete a questionnaire, or you may complete one as a family/household. Each household will have one paper copy delivered. Please add further remarks on a separate sheet of paper if necessary. We need to know as much about your views as possible in order to complete a successful consultation exercise.